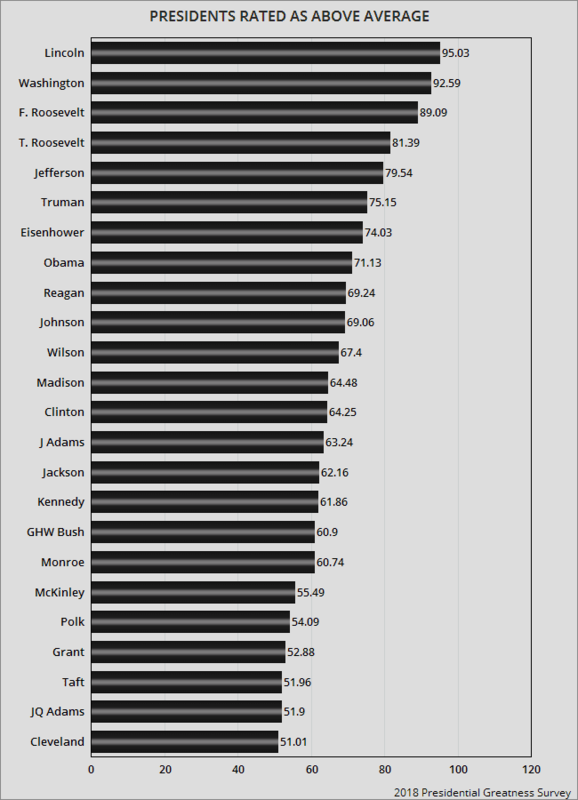 Brandon Rottinghaus (University of Houston) and Justin S. Vaughn (Boise State University) asked a national sample of political scientists (members of the Presidents and Executive Politics Section of the American Political Science Association) to rate the presidents from 0 (very bad) to 100 (very good). A score of 50 would be considered average. The charts above show those ratings -- an average of responses from 170 political scientists. Abraham Lincoln was rated the highest and George Washington second. Rounding out the top ten were Franklin Roosevelt, Teddy Roosevelt, Thomas Jefferson, Harry Truman, Dwight Eisenhower, Barack Obama, Ronald Reagan, and Lyndon Johnson. 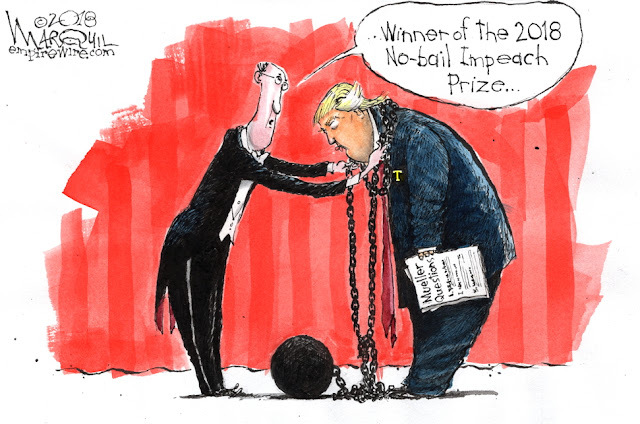 Bringing up the rear was Donald Trump -- rated the worst president the United States has ever had. These charts represent the results of the new Economist / YouGov Poll -- done between May 27th and 29th of 1,500 adults (including 1,005 registered voters. The margin of error for adults is 3.1 points, and for registered voters is 3.2 points. 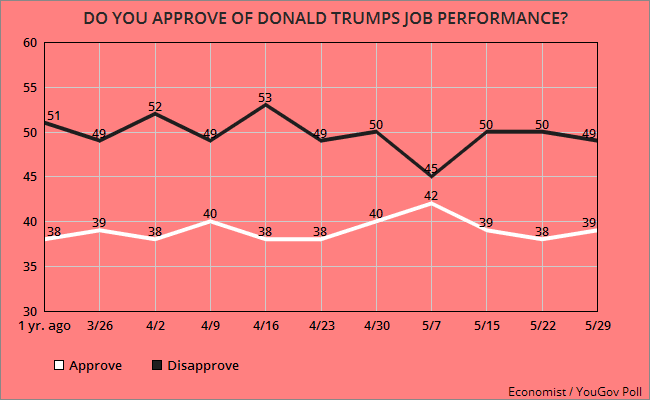 It shows that Trump's job approval numbers are still upside-down, and have remained very stable. 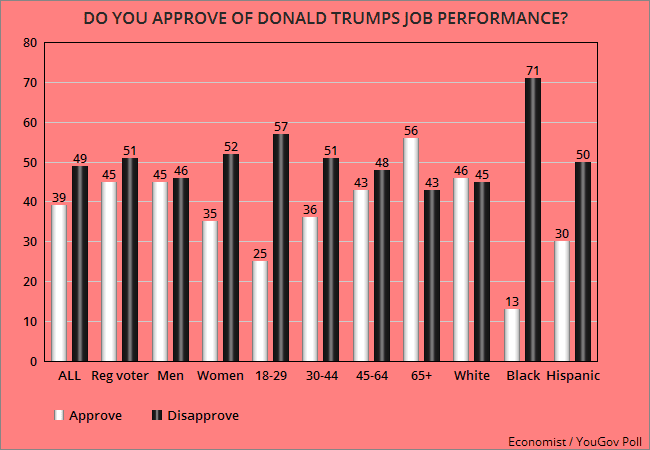 After the 2016 election, the popular opinion among pundits was that Whites voted for Trump because they bought his economic argument -- that he would help American workers. I don't believe that. Trump and the elected Republicans have never been interested in making things better for workers. As their tax plan showed, they are only interested in helping the rich. So why did too many working-class Whites vote for Trump? 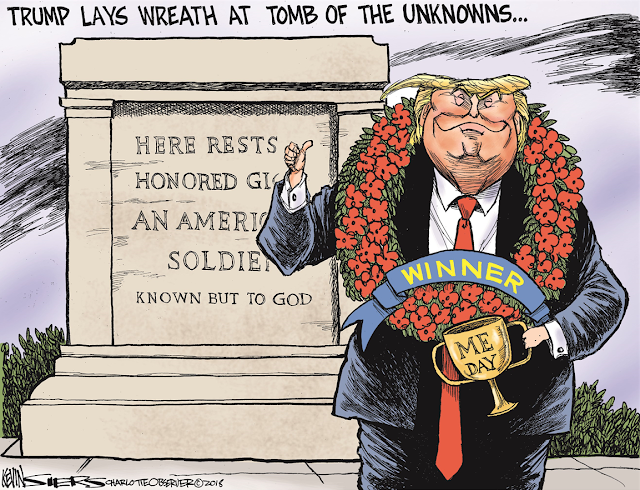 They voted for him because he reflected their own racial and religious bigotry. They will claim they love democracy, but the democracy they are talking about is a democracy for Whites (and christians). They really don't want others to be able to participate in their own sick version of "democracy". And they are perfectly willing to accept an authoritarian government to achieve that. 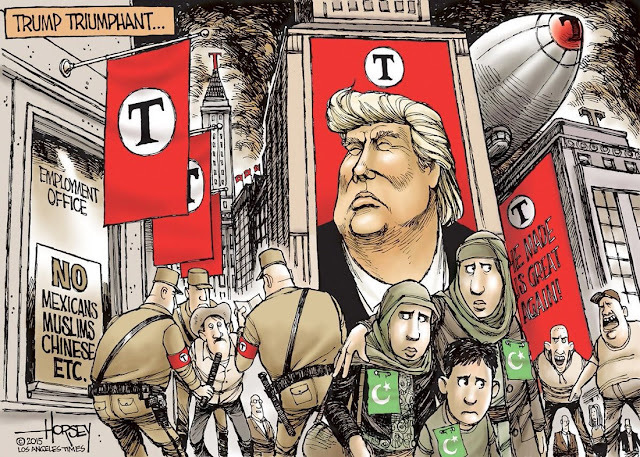 For the trumpistas, Trump's phrase "Make America Great Again" is just code for "Make America White Again" -- and they are not subtle in expressing that desire. 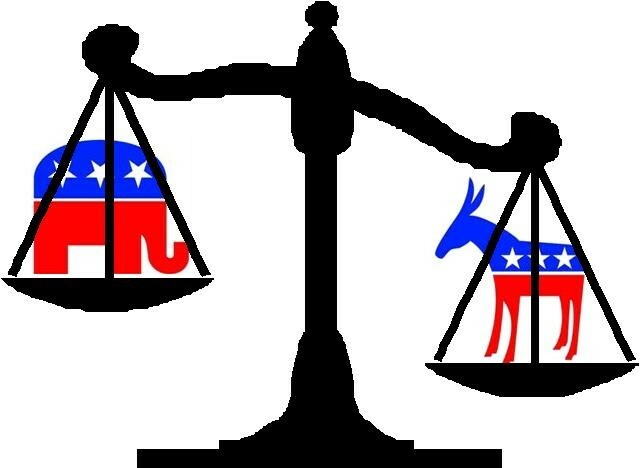 Many political observers are concerned that increasing political polarization on left and right makes compromise impossible, and leads to the destruction of democratic norms and institutions. The World Values Survey data used is from the period 1995 to 2011 — well before Donald Trump's 2016 run for president. It suggests, though, that Trump's bigotry and his authoritarianism are not separate problems, but are intertwined. 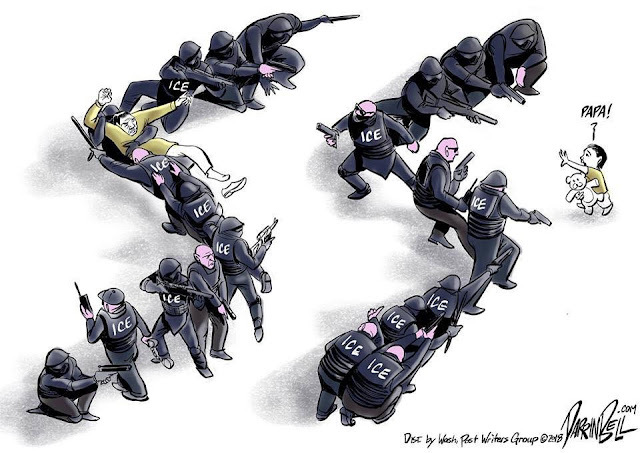 When Trump calls Mexicans "rapists," and when he praises authoritarian leaders, he is appealing to the same voters. . . .
"People are fond of the Framers’ grand vision of liberty and equality for all," Miller says, "but the beauty of the Federalist papers can’t paper over the real measures of exclusion that were baked into their understanding of a limited franchise." In practice, the GOP has increasingly been embracing a politics of white resentment tied to disenfranchisement. "Since Richard Nixon's ‘Southern Strategy,’ the GOP has pigeon-holed itself as, in large part, an aggrieved white people's party," Miller told me. . . .
Donald Trump recently bragged about the official unemployment rate dropping to 3.9%. And I will admit that the rate is finally getting down to an acceptable range. But that doesn't tell the whole story about employment in the United States. While the incomes of the top 10%, and especially the top 1%, have grown to record levels, that is not true for most American workers. The income for the lowest 80% of workers has basically remained stagnant for several decades -- and that means they actually have less buying power (thanks to inflation). It's even worse for those who make at or near the minimum wage (which for most states remains at $7.25 an hour -- $15,080 a year). Too many of those new jobs currently being created are low-wage jobs, and it is expected that soon about 25% of the workforce will be working in those low-wage jobs (jobs paying at or near the minimum wage). Those people are already in serious economic trouble, and as prices climb, that trouble gets worse all the time. One way of illustrating this economic trouble for low-wage families is to look at the cost of housing. The federal government standard for affordable housing is that it not take more than 30% of a workers income. Limiting housing to 30% of income leaves money for other necessities (food, clothing, transportation, etc.). Households paying more than 30% for housing are considered cost burdened, and those paying over 50% are considered severely cost burdened. The charts above, from the National Low Income Housing Coalition, shows the problem facing low-wage workers. The top chart shows the income level that would be required for a family to rent a decent 2-bedroom apartment. 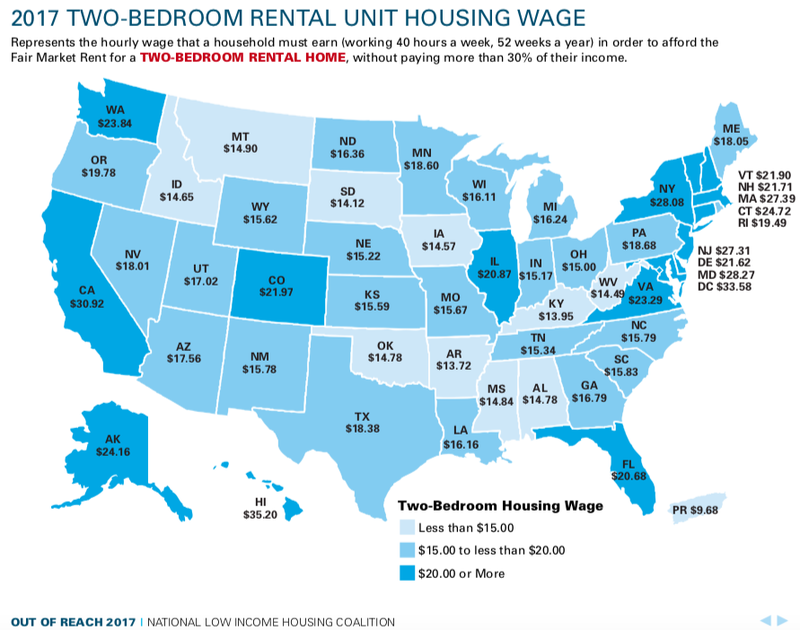 Note that the minimum wage would not allow a family to rent a 2-bedroom apartment without severely burdening that family. It would require double the minimum wage (or more) in any state. But it's worse than that. It's not just families that are severely burdened by low wages. The second chart shows how many hours an individual must work in each state to afford a 1-bedroom apartment. 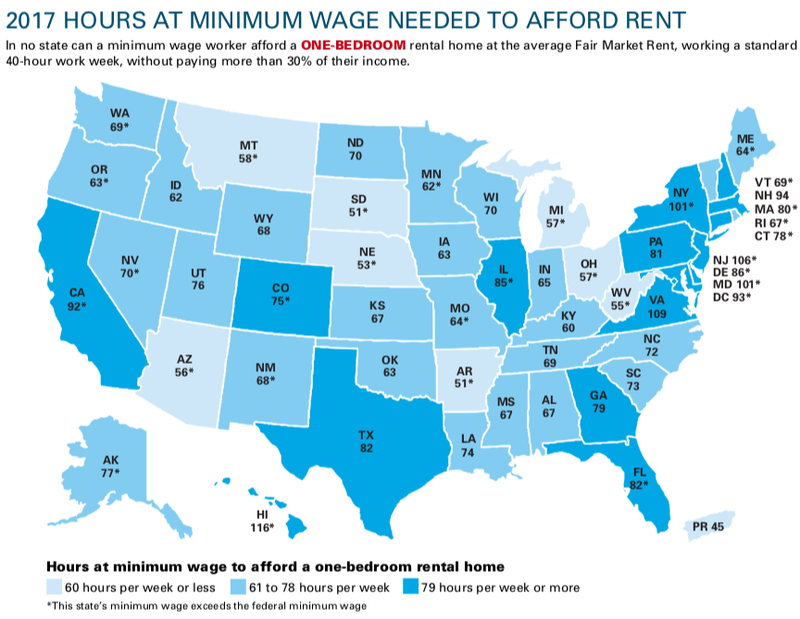 Again, in no state could a minimum wage worker afford a 1-bedroom apartment by working only 40 hours. It would require over 60 hours a week, and in many states it would require over 80 hours a week. The existence of (and growth of) low wage jobs in this country is a national shame. No one who works 40 hours a week should have to live in poverty -- but that is the case currently for millions of hard-working Americans. 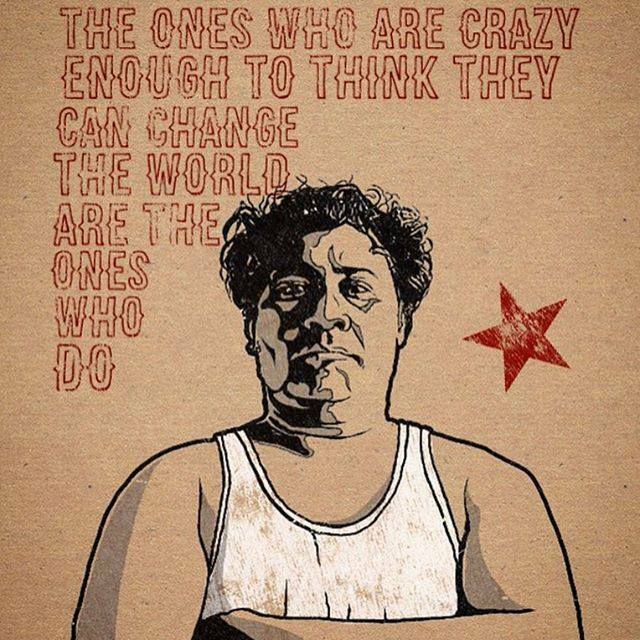 We can, and should, do better than that. In the richest nation in the world, it is a crime (wage theft) for 20% to 25% of workers to be working for a wage that keeps them mired in poverty. We need to substantially raise the minimum wage. Republicans will try to tell you that would hurt our economy and cost jobs. That's a lie. Raising the minimum wage would actually help most Americans and boost the economy. It would provide a decent standard of living for the lowest-wage workers. It would boost economic growth because those workers would spend that new money. It would boost business profits as they met the increased demand created by that increased spending. And it would take many off of government assistance rolls -- saving the taxpayers money. Donald Trump, and his base of deplorables, don't seem to think that racism is a serious problem in the United States. They like the idea of white privilege, and are adding to the racial problems of the country. But the American public doesn't agree with them. A new poll shows that 64% of the general public believes that racism continues to be a serious problem in this country, and another 30% admits that racism continues to exist but doesn't think it's a major problem. Only 4% say it is not a problem or doesn't exist. That gives me a bit of hope for the future of this country. You can't solve a problem until you know it exists and needs to be solved. The concept of race has always been stupid -- created by Whites to justify colonialism and slavery. 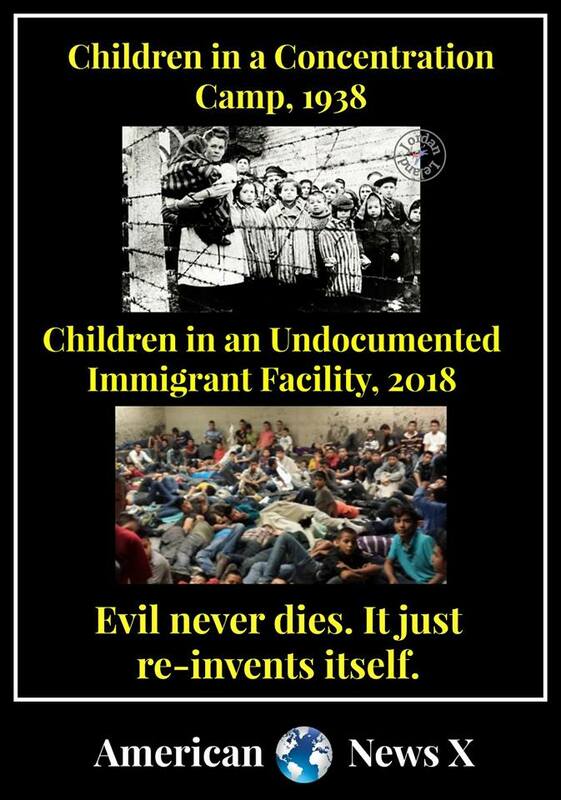 We have finally progressed beyond those two evils. How can anyone in this more civilized world continue to believe they are superior to someone else simply because of the color of their skin? That makes no sense. 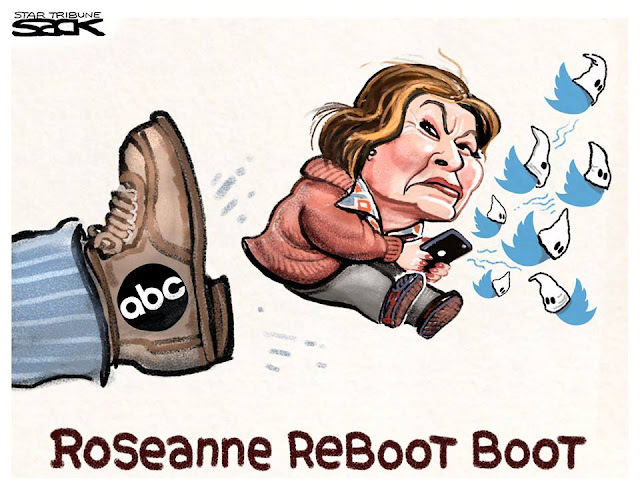 It is time for decent people to rise up and consign racism (and the silly concept of race) to the trash bin of history. The charts above are from a new NBC News / SurveyMonkey Poll -- done between May 14th and 21st of a national sample of 6,518 adults, with a 1.5 point margin of error. If you've listened to the talking heads on cable news for the past few months, you will have heard that a "blue wave" is coming with the elections in November -- a wave that will flip the House of Representatives to Democratic control, and possibly do the same to the Senate. 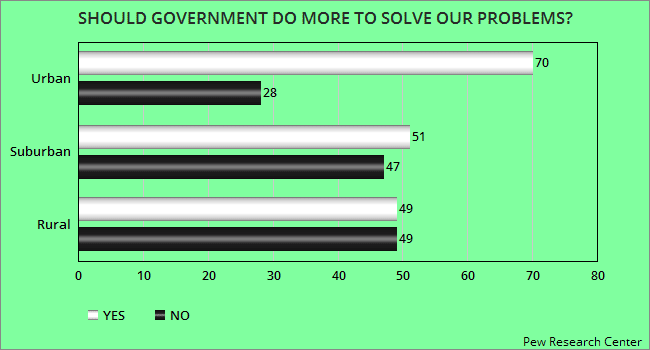 But the public is not convinced of that -- at least not yet. 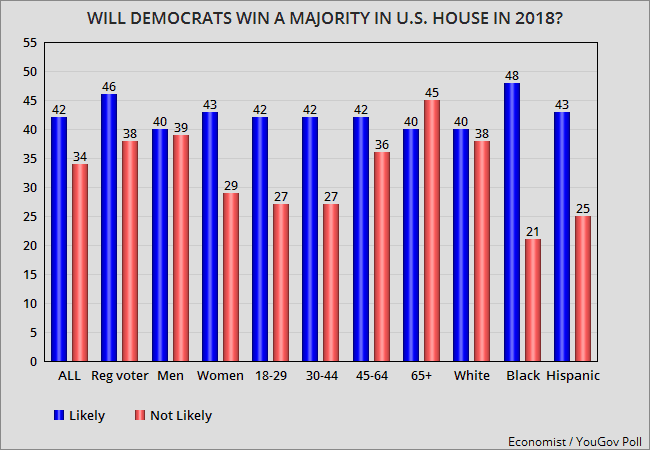 Only 42% of adults (and 46% of registered voters) believe it is likely the Democrats will win control of the U.S. House. 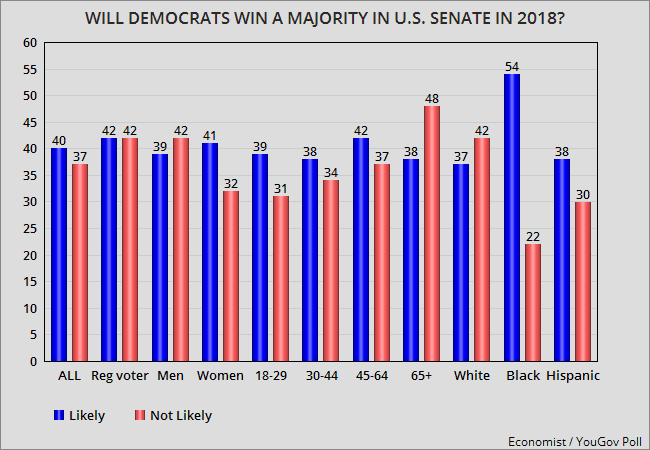 And the numbers are slightly worse about with Senate -- with 40% of adults (and 42% of registered voters) believing Democrats will win control of the Senate. Note that the number does not reach 50% for either the House or the Senate. 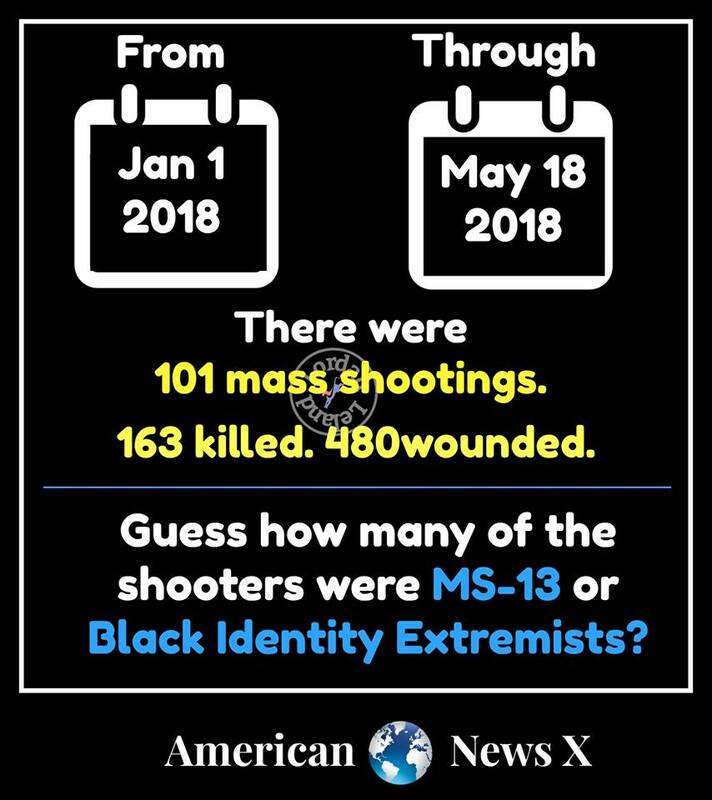 I'm a Democrat, and you might think these numbers would disappoint me. That would be wrong. 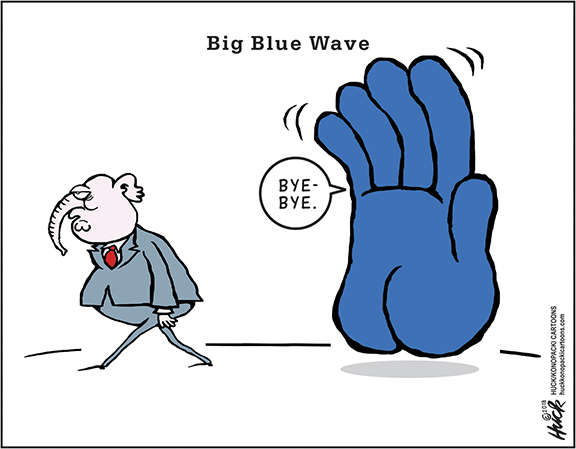 Although I believe that "blue wave" could be real, it won't hurt at all for voters to think that could be in doubt. If they believed it was a foregone conclusion, too many of them might stay at home on election day. That would be disastrous. Democrats need for people to believe that their vote is badly needed (and it really is). 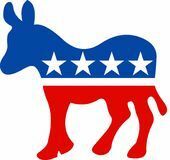 Democrats can only prevail if there is a large voter turnout. The charts above use information in a recent Economist / YouGov Poll -- done between May 20th and 22nd of a national sample of 1,500 adults (including 1,263 registered voters). The margin of error for adults is 3 points, and for registered voters is 2.9 points. 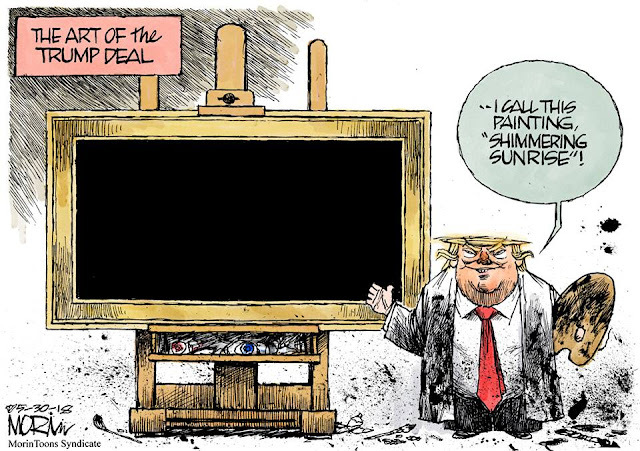 Trump's "Art Of The Deal"
The official government count of deaths in Puerto Rico due to Hurricane Maria is 64. Donald trump has used that figure to belittle the disaster that struck that island. 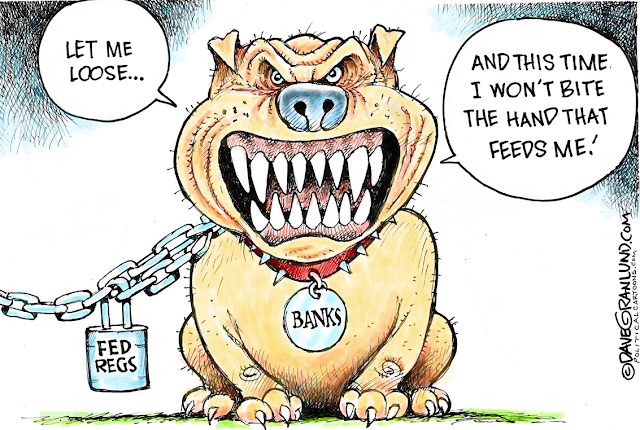 It may also be the reason that federal government help was slow in coming and inadequate. But the real death toll that can be attributed to the hurricane is much higher. A new study puts it at over 4,600 (and could even be higher than that). 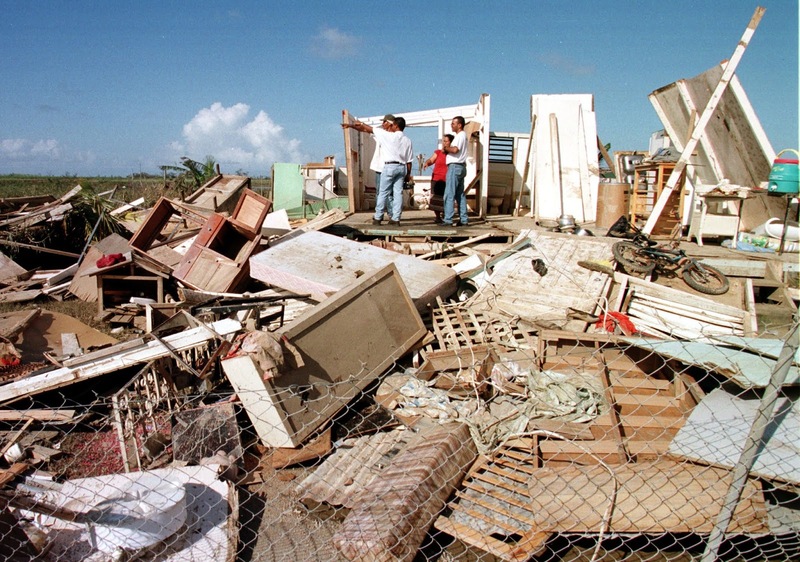 Most of the deaths came in the three months after the hurricane, and resulted from the inadequate response by the U.S. government. That inadequate response left many without medical care, food, and water. George W. Bush has been vilified for his slow response to Hurricane Katrina in New Orleans -- a response that surely added to the death total from that hurricane. The death toll from Katrina was about 1,883. The death toll in Puerto Rico is much worse, and the sad fact is that a quick and adequate response from the government could have prevented most of those deaths. I believe Trump has to accept the responsibility for most of the Puerto Rican deaths. He should have done much more, and done it much more quickly. Hurricane Maria, which pummeled Puerto Rico in September 2017, is likely responsible for the deaths of more than 4,600 people, some 70 times higher than official estimates, US researchers said on Tuesday. The government-provided death toll stands at just 64, but experts say an accurate count was complicated by the power outages and widespread devastation wreaked by the storm, which caused $90 billion in damages and is ranked as the third costliest cyclone in the United States since 1900. Earlier independent investigations have put the true toll at closer to 1,000. But the latest estimates, compiled by researchers at Harvard University, came back far higher - at 4,645 deaths from the day of the storm, September 20, until December 31, 2017. For comparison, the death toll from 2005's Hurricane Katrina - the costliest hurricane in US history - was far lower, and estimated at 1,833. "Approximately one-third of post-hurricane deaths were reported by household members as being caused by delayed or prevented access to medical care," said the report. If You Find Yourself . . . I found these charts interesting. They show the different views of Americans living in different types of communities -- urban, suburban, or rural. 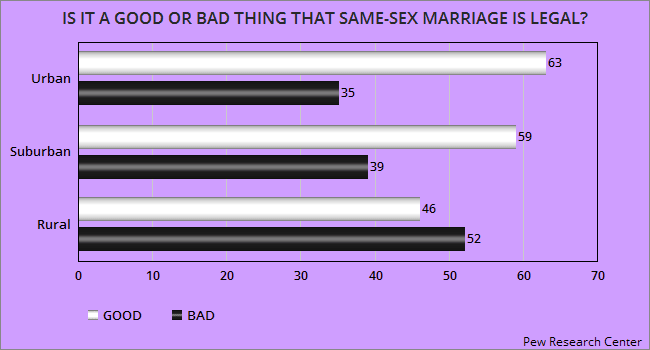 The charts use information from a Pew Research Center survey done between February 26th and March 11th. They surveyed 6,251 people. The margins of error are 4.2 points for urban people, 2.8 points for suburban people, and 3.2 points for rural people. The top chart shows the political preference. Urban dwellers are mostly Democrats, while rural dwellers are mostly Republican. 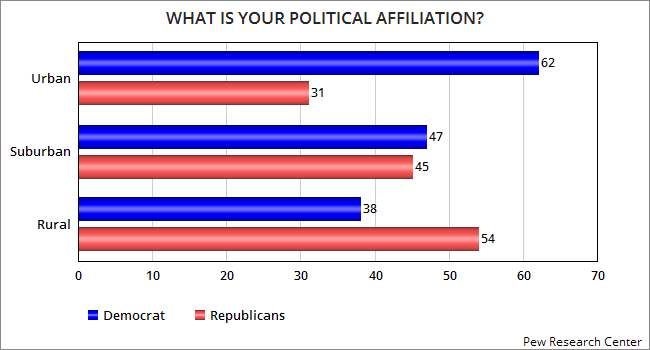 Suburban dwellers are split between the two parties. 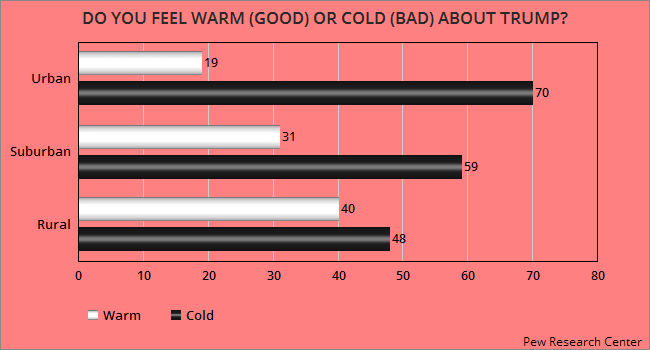 The charts below show the differences on several issues. Political Cartoon is by Mark Wilson at empirewire.com. I have been called a bleeding-heart liberal. That's OK. But I also worked in various aspects of law enforcement for nearly 30 years, and I believe crime should be punished (especially crimes against the safety or property of others) -- and I believe serious crimes should come with a prison sentence. However, I also believe that when justice is meted out, it should be done fairly -- with no regard for race, ethnicity, gender, or economic status. But too often our courts do not operate that way. Some judges give Blacks harsher sentences than Whites for the same crimes -- and women are given lesser sentences than men for the same crime. This is unfair, and makes a mockery of the "equal protection" clause of the Constitution's Fourteenth Amendment. Unfair sentencing is wrong, whether the offending judge is a Democrat or a Republican. 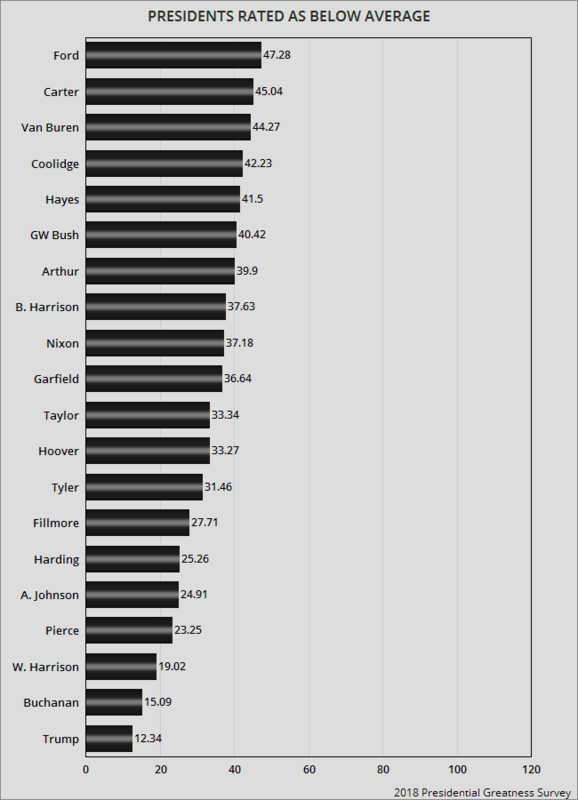 But a new study shows that Republican Judges are more unfair in sentencing than Democratic judges -- significantly so. The study was done by Harvard Law School professors Alma Cohen and Crystal S. Yang. They studied 1,400 federal judges over a period of 15 years. Linking approximately half a million defendants to their sentencing judges, we find that Republican-appointed judges sentence black defendants to longer prison terms than non-black defendants compared to Democratic-appointed judges. Republican-appointed judges also sentence female defendants to shorter prison terms than males compared to Democratic-appointed judges. These racial and gender disparities by political affiliation emerge at both the fact-finding and sentencing stages of the criminal justice process, and are robust to controlling for other judge and court characteristics, such as judge race, gender, and proxies for racial attitudes. We also find that differences in disparities by political affiliation, particularly racial gaps in sentence length, expand when judges were given more discretion after the mandatory Guidelines were rendered advisory. Moreover, these enlarged differences cannot be solely explained by differences in the willingness of Republican-appointed and Democratic-appointed judges to depart from the Guidelines. These results suggest that a consequence of the advisory Guidelines system is an expansion of sentencing disparities by judge political affiliation. Republican and Democratic-appointed judges treat defendants differently on the basis of their race and gender given that we observe robust disparities despite the random assignment of cases to judges within the same court. Our results also indicate that these disparities are not solely due to differences in the treatment of certain offense types by judge political affiliation as we find large racial and gender gaps even within specific crimes such as drug offenses. More speculatively, our results are consistent with some judges holding discriminatory attitudes given that we find larger disparities among judges who serve in courts from states with higher racial bias, which are disproportionately located in the South. Our results suggest that a judge’s political ideology may affect how he or she views the dangerousness or blameworthiness of different defendants by race and gender. According to our findings, racial disparities in sentencing would be almost halved if federal district courts were comprised of all Democratic-appointed judges, and reduced by more than five percent if courts were comprised of ten percent more judges appointed by Democratic presidents. In recent decades, the typical president has appointed roughly 160 district court judges in a four-year term.16 Under the current composition of the federal court system, these appointments could change the partisan composition of district courts by 15 to 20 percentage points, which could substantially alter gender and racial disparities in the criminal justice system depending on the political affiliation of the appointing president. The potential to affect disparities is even larger for two-term presidents. Texas has 36 representatives in the U.S. House of Representatives. 25 of them are Republicans and only 11 are Democrats. But if a blue wave actually happens this November, it could even affect bright-red Texas. And Democrats are working hard to flip some of the Republican seats. The district: The 7th, one of the state’s wealthiest districts, serves a small area of western Harris County, including affluent enclaves of Houston and nearly a dozen incorporated suburbs. The district is 44 percent white and 32 percent Hispanic, with a median household income of $71,183. The Trump margin: In 2016, 48.5 percent of district voters opted for Democratic presidential candidate Hillary Clinton, 47.1 percent for President Donald Trump. The race: Despite Clinton’s victory in this district, Culberson, who has represented the district since 2001, was re-elected in 2016 with 56 percent of the vote. Fletcher, an attorney and the more moderate candidate in the Democratic runoff, comes into the race with the support of Emily’s List, a political action committee that helps elect pro-abortion rights Democratic women. Democrats are hoping that dissatisfaction with Trump among well-to-do Republican women will translate into victory. As of Tuesday, the Cook Political Report rates the seat as a toss-up. The district: The 21st includes swaths of Central and South Austin, parts of Hays and Comal counties, the north side of San Antonio and six Hill Country counties. The district is 62 percent white. The Trump margin: In 2016, 52.5 percent of district voters opted for Trump, 42.5 percent for Clinton. The race: For three decades, U.S. Rep. Lamar Smith, R-San Antonio, had a lock on this seat. After Smith announced his retirement last fall, the district is up for grabs. Cook rates it likely Republican. 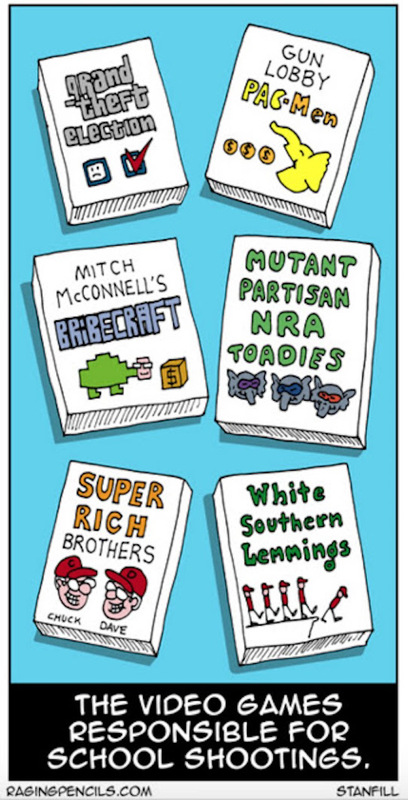 This promises to be an expensive race, as outside groups have already poured in hundreds of thousands of dollars, including the conservative-minded Club for Growth and the Serve America Victory Fund, which helps elect Democratic military veterans to Congress. Kopser, an Army veteran and Austin tech entrepreneur, will have to run up the score in liberal Austin to have a chance, while Roy, former chief of staff to U.S. Sen. Ted Cruz, R-Texas, will depend on turnout in reliably Republican swaths of the Hill Country. Cruz, devoted to Roy and eager to kick up the vote in his own re-election campaign, could be a force. The district: This massive, mostly rural district runs from San Antonio to El Paso and includes the border cities of Eagle Pass and Del Rio, as well as Fort Stockton, a ranching and oil and gas production center. The district is nearly 70 percent Hispanic, with a median household income of $51,293. It encompasses Big Bend National Park, Big Bend Ranch State Park and the nearby towns of Alpine and Marfa. The Trump margin: Clinton took this district by 49.8 percent to Trump’s 46.4 percent. The race: The 23rd is a swing district, going back and forth between Republicans and Democrats over the past decade. Hurd, a former CIA agent who is one of two African-American Republicans in the U.S. House, was elected in 2014 and narrowly won re-election in 2016. He has opposed Trump’s border wall plan, a popular stance in the district. Ortiz Jones is an openly gay former U.S. Air Force intelligence officer making her first political bid. The daughter of a single mother from the Philippines, she is Asian-American. Cook rates the seat leaning Republican. The district: Created after the 2000 census, the 31st is largely suburban and nearly 60 percent white. It encompasses fast-growing Williamson County and most of Bell County, including Temple, Belton and Killeen, adjacent to Fort Hood. The Trump margin: Trump carried this district by a margin of 53.5 percent to 40.8 percent. The race: John Carter, a former state district judge, has represented this district since 2003. In 2016, he won the general election with 58.4 percent of the vote. He may face his stiffest opponent in Hegar, a former Air Force helicopter pilot who won medals for her bravery in Afghanistan. Hegar’s path to victory lies in the southern part of the district, in the areas closest to Austin. Hegar hopes to appeal to moderates and women unhappy with the Trump administration. Cook calls the 31st a solidly Republican district, suggesting a Democratic win here in November would mean an enormous national wave for Democrats. The district: The 32nd includes part of Preston Hollow, the affluent North Dallas neighborhood that George W. Bush has called home since the end of his presidency. The district covers mostly the northern and eastern Dallas County areas and a small portion of Collin County. It’s 53 percent white, 14 percent African-American, 8 percent Asian and 24 percent Hispanic. The Trump margin: Clinton carried the district 48.5 percent to 46.6 percent for Trump. The race: Sessions, first elected to Congress from the 5th Congressional District in 1996 and then from the 32nd since 2004, has sounded bullish about his chances. 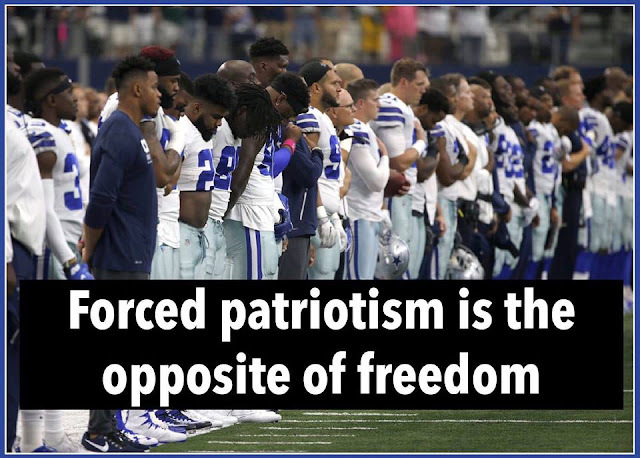 In December 2016 he told The Dallas Morning News, “If the Democrats want to think they can take their party, that is dead, and resurrect something in Texas 32, bring it on.” Now he faces Allred, a voting rights attorney and former pro football player, who accuses Sessions of loyally supporting the president to the detriment of the district. “For too long, the people of this district have not had a choice,” Allred said at a runoff party Tuesday. Cook says the district leans Republican. 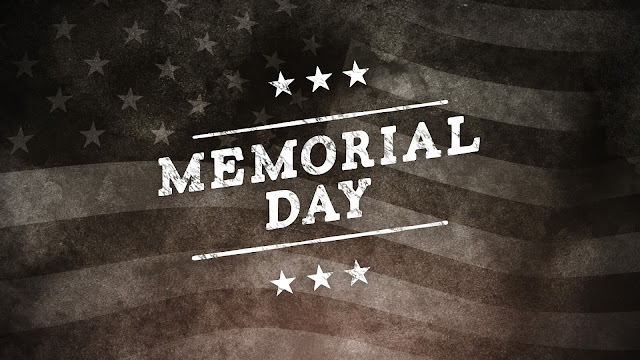 Today is Memorial Day -- the day we set aside to honor those in the military who lost their lives defending this country. 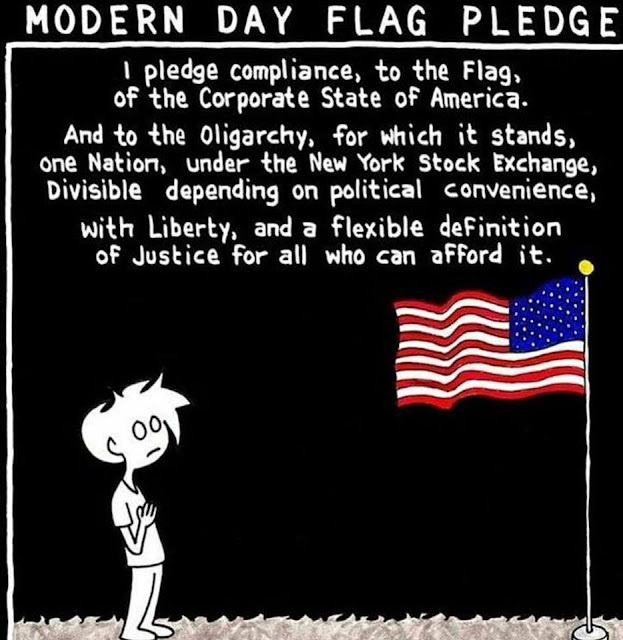 Did they die for a flag, or an anthem? NO! 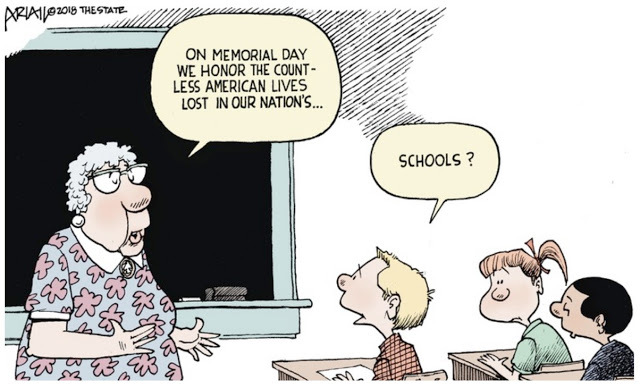 They died defending the Constitution, which protects all of the freedoms we enjoy. Don't fall for the lie that a peaceful protest dishonors those brave heroes. 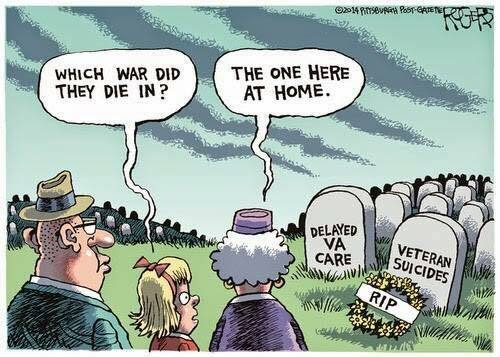 It is just the opposite -- it is a tribute to them because it shows we still have the freedoms they died to protect. I seldom agree with Republicans on policy, but I was still shocked at the results of this poll. It seems that 72% of Republicans believe highly-ranked law enforcement officials (in FBI) broke the law to prevent Donald Trump from becoming president -- and 55% strongly believe that! They believe Donald Trump's ridiculous accusation that the FBI planted a spy in his organization, and that spy was to gather information to keep Trump from becoming president. This accusation simply makes no sense. If they wanted to prevent a Trump presidency, why did they wait until months after he was in office to admit there was an investigation starting in the summer of 2016 to see if the Trump campaign was colluding with a foreign government? Wouldn't it have made more sense to announce that before the election (like they did with the Clinton investigation)? Announcing the Clinton investigation and keeping the Trump investigation quiet seems to show the FBI actually was working in favor of Trump -- not against him. Trump won the Electoral College by a razor-thin margin in a few states. 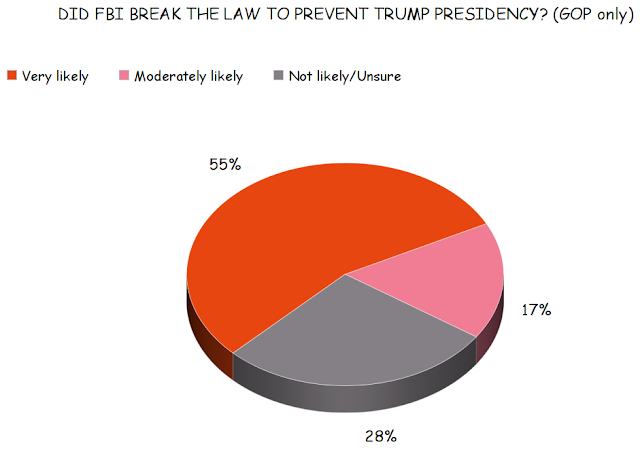 If the FBI had really wanted to prevent his presidency, releasing information about their investigation before the election could easily have done that. But common sense and facts are not things the current Republican base respect. 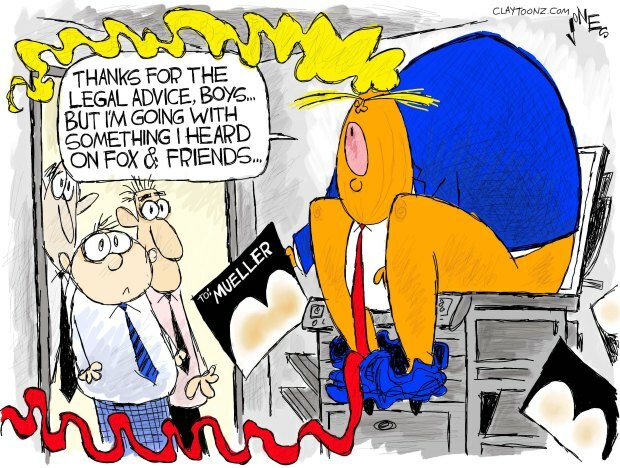 They only care about the incessant flow of lies coming from the mouth of their orange demagogue. For them, whatever Trump says is true -- regardless of how ridiculous it is or how many facts prove it to be false. The FBI has never embedded a spy in a presidential campaign, and they didn't do that with the Trump campaign. They were simply investigating some bragging by a Trump aide that Russia was providing help to the campaign. The FBI was just doing its job! The chart above shows the result of a new Rasmussen Poll -- done on May 22nd and 23rd of a national sample of 1,000 likely voters, with a 3 point margin of error. The chart shows only the responses of Republicans. 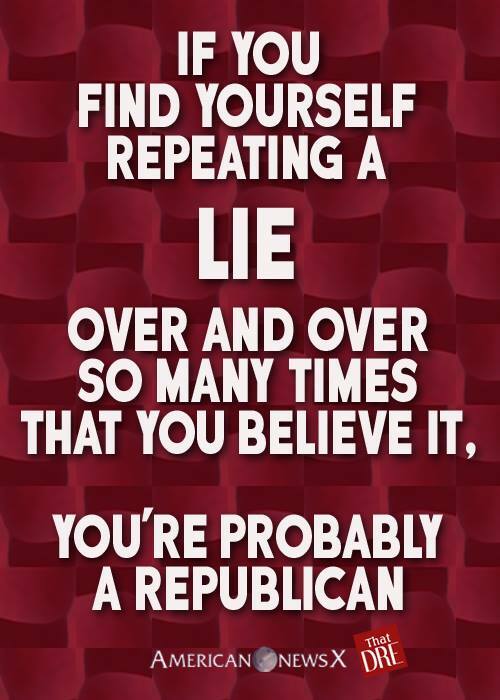 And that's not the only stupid thing Republicans believe. 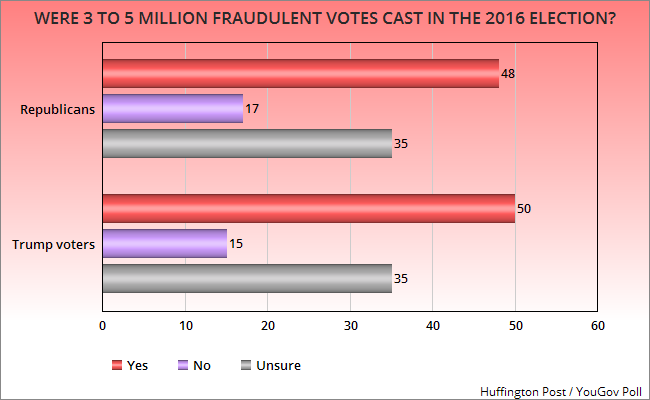 As the chart below shows, 48% of Republicans (and 50% of Trump voters) still believe there were 3 to 5 million fraudulent votes cast in the 2016 election (which is the only reason their orange narcissist didn't win the popular vote) and another35% of both groups aren't sure. Once again, more than 3/4's show their idiocy. There is not a shred of evidence that even a hundred fraudulent votes were cast in 2016. This chart is from a Huffington Post / YouGov Poll -- done between May 17th and 20th of a national sample of 1,000 voters, with a 3.7 point margin of error. Ireland is a very Catholic country, and the Catholic church has always had considerable influence on what happens in that country. That is undoubtably why the country had an amendment to their constitution that gave unborn fetuses the same rights as women (the 8th Amendment). That amendment effectively outlawed all abortions in the country, and forced Irish women to travel to the United Kingdom to get an abortion. But Ireland is changing. There were forces wanting to give Irish women control over their own bodies, and give them the choice of whether to have an abortion or not. But the first step had to be removal of that 8th Amendment to the Constitution. Last week, a referendum was held on removing that amendment. The vote was overwhelming in favor of giving Irish women a choice -- the ability to control their own bodies. A whopping 1,429,981 people voted to remove the amendment, while only 723,632 voted to keep the amendment. 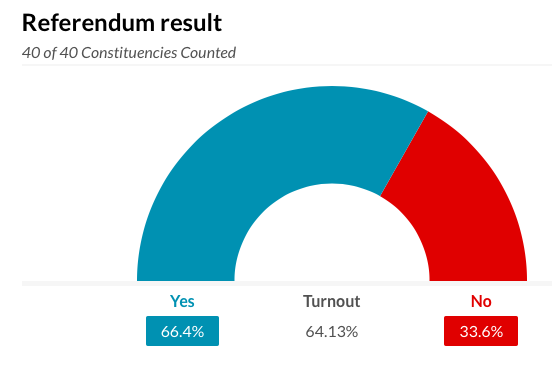 That's 66.4% voting for choice and 33.6% voting against it -- about a 2 to 1 advantage. There is now a bill being prepared in Ireland's legislative body, and by the end of this year, Irish women could have the right to choose. 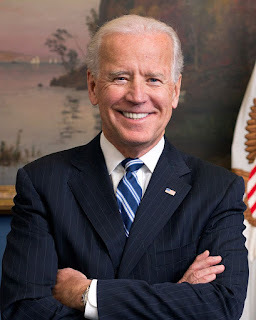 Joe Biden has refused to say he is a candidate for the 2020 Democratic nomination for president. But he has also refused to say he is not a candidate. 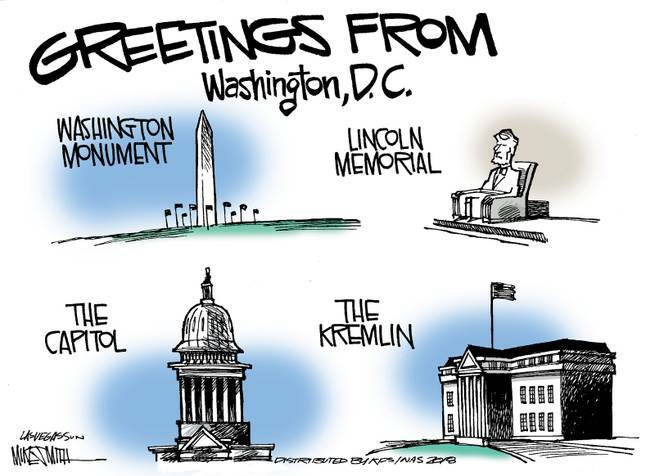 He knows that it is at least a year too early to be talking about that, and our focus now should be on insuring a Democratic victory in the November congressional elections. And he is working hard to do his part. But he is sounding more and more like a candidate for 2020. And I hope he does run in 2020. His is the one candidacy that could insure a mess like happened in 2016 wouldn't happen again. Chris Cillizza at CNN News gives us 20 quotes from a recent Biden speech -- quotes sounding like they come from a presidential candidate.